Taking five minutes (okay, more like fifteen) away from studying to update the blog. Despite all the school stress and craziness I really am loving life. 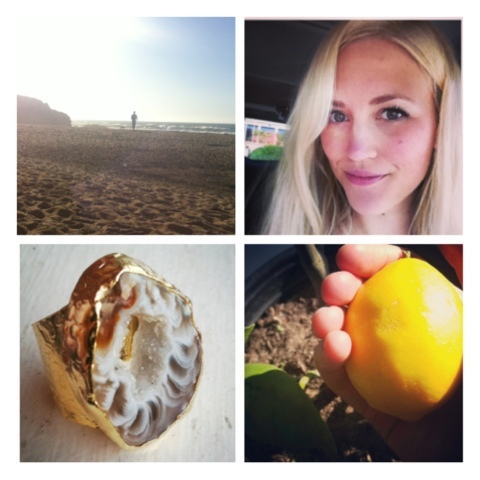 Proof is in the pictures: William and Sadie at Montara State Beach two weeks ago, me (happy) after giving a Public Health talk on parabens, the first lemon to grow on my new lemon tree, and a new sparkler from Jessica Matrasko Jewelry. What's making you happy lately?